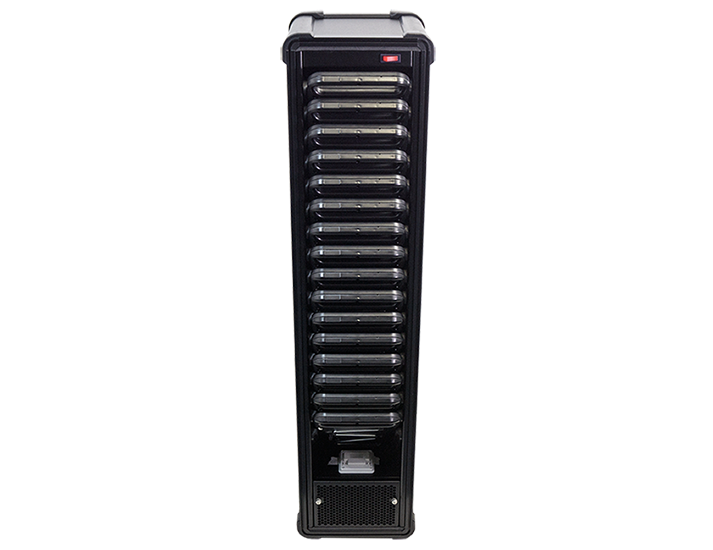 These multi-tablet charging stations have been designed to keep large tablet estates fully powered within a compact footprint. 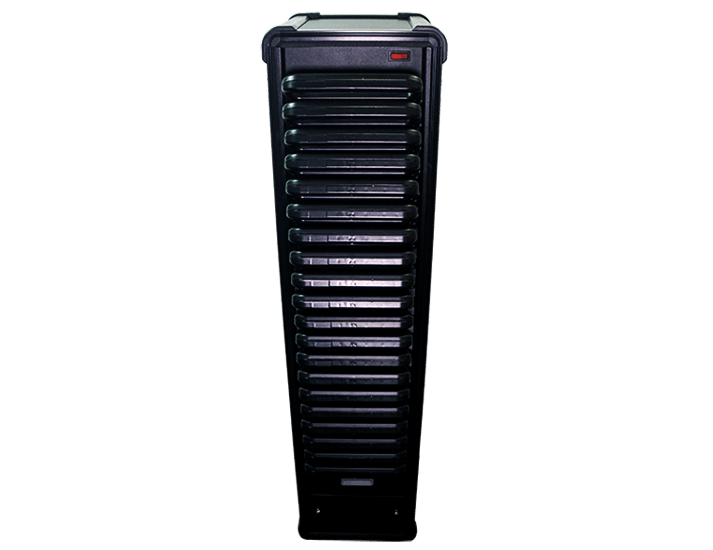 They are engineered specifically to simplify and improve the reliability of the charging process with cable-less connection. 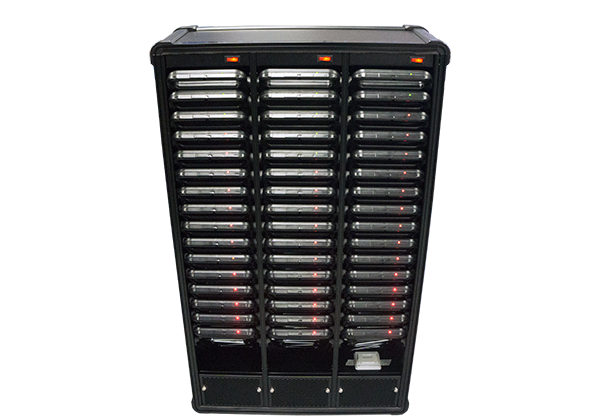 The TCS-348 tablet charging station has been designed and developed specifically to meet the requirements of applications where large populations of tablet computers are used and charged simultaneously. Having a single point of cable-less charging completely eliminates the clutter and complication caused by additional leads and adapters. Space available for charging tablets is typically minimal. The TCS charging station creates a compact footprint, requiring far less space to power bigger estates of tablets. 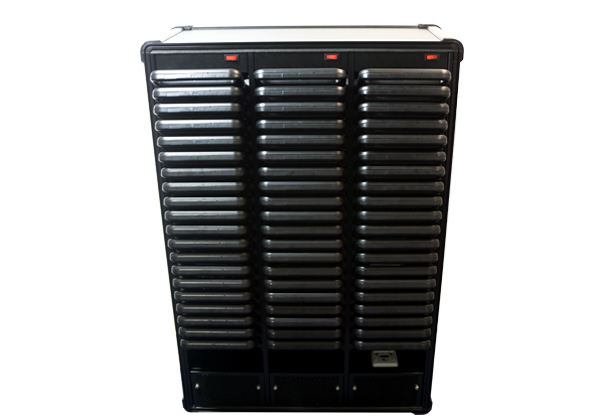 The TCS-316 tablet charging station has been designed and developed specifically to meet the needs of applications where large populations of tablet computers are used and charged simultaneously. Having a single point of cable-less charging completely eliminates the clutter and complication caused by additional leads and adapters. Space available for charging tablets is typically minimal. The TCS charging station creates a compact footprint, requiring far less space to power bigger estates of tablets. The TCS-320 tablet charging station has been designed and developed specifically to meet the needs of applications where large populations of tablet computers are used and charged simultaneously. Having a single point of cable-less charging completely eliminates the clutter and complication caused by additional leads and adapters. Space available for charging tablets is typically minimal. The TCS charging station creates a compact footprint, requiring far less space to power bigger estates of tablets.